The Fourth Industrial Revolution has the potential to positively transform the world. It will also herald an era of great uncertainty. This policy report looks into some of the social, economic, political and security repercussions this profound shift will likely have for Singapore. 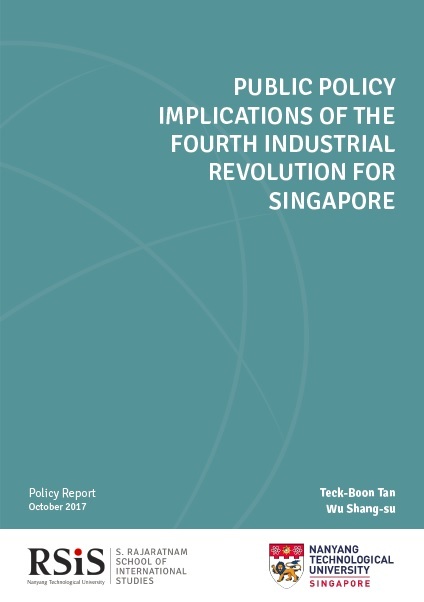 As a small country, Singapore will face difficult challenges in the Fourth Industrial Revolution. But its small size can also be a source of strength by being nimble enough to take advantage of opportunities that arise. As we enter the Fourth Industrial Revolution, the role of the government needs to be enhanced so that it can deal with the repercussions. Only then will Singapore be able to reap the full benefits of this profound shift.